As Bomb Kills 60, is Iraq Army Preparing for Armageddon with ISIL? A truck bombing in the largely Shiite city of Hilla killed 60 on Sunday, one of the worst terrorist attacks in that city. Daesh (ISIS, ISIL) claimed responsibility for the attack. The bombing, which killed and injured policemen at a checkpoint (though 3 dozen of the dead were civilians), underlines that Daesh is both a terrorist organization and a guerrilla movement attempting to hold territory. 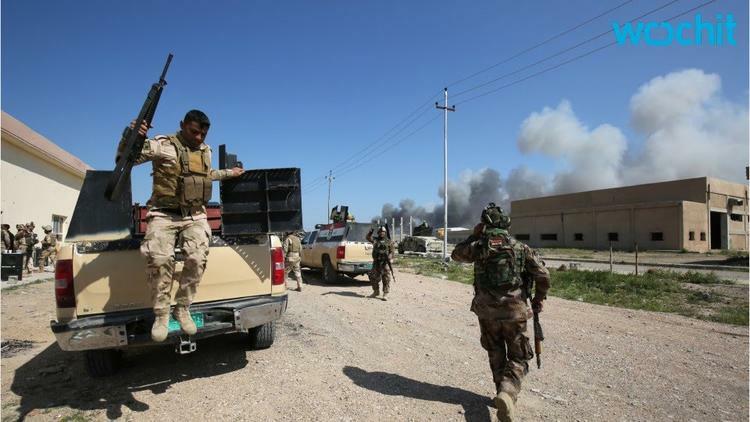 Hitting Shiite Hilla is Daesh revenge for having been pushed out of largely Sunni Ramadi. Moreover, it appears that the Iraqi government and the Shiite militias supporting it may be about to take on another region, al-Anbar Province. The Arabic press says that leaflets are being dropped on non-combatants in al-Anbar calling on them to evacuate Daesh-held lands that Baghdad is eager to recover. The US and allies will provide close air support and do intensive bombing of Daesh positions. The instructions said that residents should stock up on water, food and staples. They should avoid gathering in large numbers anywhere there are Daesh fighters. The Baghdad daily al-Zaman (Time) says that the security forces are putting the final steps in place for the launching of a military operation to recover what remains of al-Anbar Province and to surround Mosul, and to end the Daesh presence in Salahuddin Province. The pamphleteering is said to be aimed at lifting the spirits of Iraqis living under Daesh control, and to reassure them that Baghdad fully intends to liberate Ninewah Province (i.e. Mosul). While it is true that so far the regime has made little headway against Daesh in Mosul, this article suggests that the plan is first to take back Fallujah and Haditha in al-Anbar, gradually cutting Mosul off from its hinterland. Kurdish Peshmerga actions north of Mosul are also helping cut that city off from smuggling routes in Syria. Rumors are always swirling about these things, but it looks to me like a 2016 Mosul compaign is entirely possible.